When I was still with Scrap Outside the Box, I made this paper and quick page for the June Collab Kit. I didn’t want to leave the girls out – so I made this paper and free quick page for those tomboyish girls like me, who don’t mind getting a little dirty and having some good old fashioned fun! Well, they didn’t quite make the cut, since the title of the Mega kit is “It’s a Guy Thing” but I know you’ll love it just the same!! So here it is, not available anywhere else!! Enjoy your freebie!! This is cute, but I’m confused. 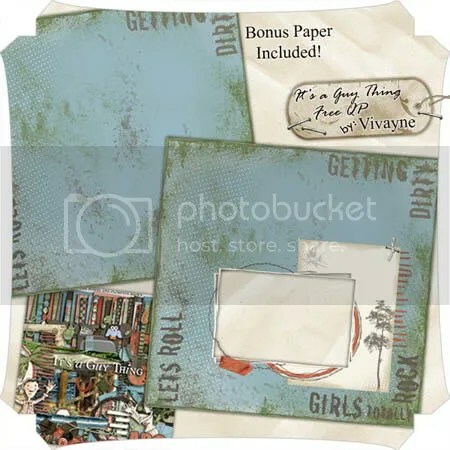 Its titled “its a guy thing” but doesn’t the paper says “girls totally rock”?